GitHub - VerizonAdPlatforms/VerizonVideoPartnerSDK-iOS: The Verizon Video Partner SDK (formerly named Oath Video Partner SDK) is a native iOS SDK that makes it easy to play and monetize videos from the Verizon/Oath Video Partner network on iOS-based platforms. The Verizon Video Partner SDK (formerly named Oath Video Partner SDK) is a native iOS SDK that makes it easy to play and monetize videos from the Verizon/Oath Video Partner network on iOS-based platforms. Want to be notified of new releases in VerizonAdPlatforms/VerizonVideoPartnerSDK-iOS? The Verizon Video Partner SDK (VVPSDK or SDK) is a native iOS SDK for playing and monetizing videos from the Verizon Video Partner network in apps. The VVPSDK is written in Swift and is delivered by source files that can be included in an app either via CocoaPods or Carthage. Currently, the Swift Package Manager not supported on iOS or tvOS. The VVPSDK also handles video ads (pre-roll, mid-roll, and in the future post-roll) and provides performance analytics. These analytics provide details about what is played, how long it is played (e.g., deciles, quartiles), and generic details about the actual device or network it's played on. For more details about supported analytics, or to access analytics data, you'll need to work with the Video Support Team to build reports that focus on the specific details of your app’s video and ads performance. The SDK includes a complete video player controls UX (user experience), that includes a limited, albeit robust, set of customization options. The controls implementation is also fully open source, and the SDK architecture allows for you to include your own fully customized controls UX, should you not be interested in the built-in default implementation. The Verizon Video Partner SDK is used to natively play videos served by the Verizon Video Partner network. If you are developing a native app, you should use the SDK because it provides all ads and analytics for free which can be extremely important for monetization and tracking the performance and usage of videos and ads, as well as improving your understanding of user habits. 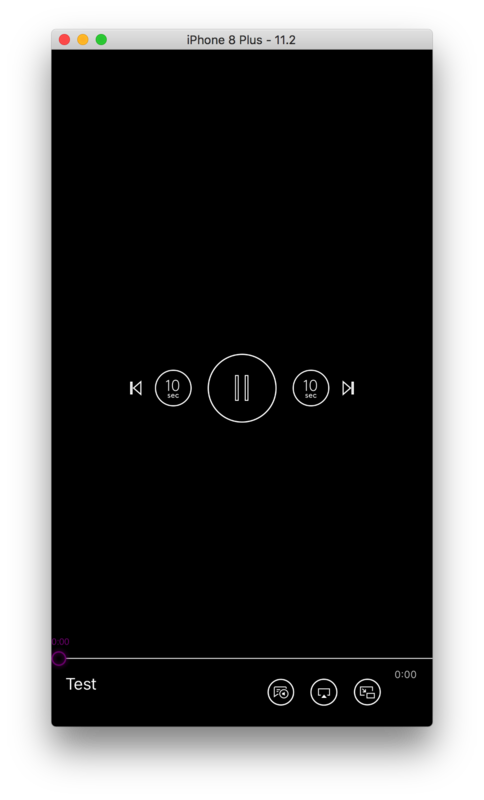 The built-in tint color of the default video player controls UX is pink/magenta. This is deliberate for easier development; feel free to change it to match with your app’s specific design or brand. The built-in tint color of the ad’s UX is yellow/gold. This cannot be dynamically changed at this time, and we advise that you don’t tint your main controls yellow since that will make it difficult to see. You also shouldn't use black or shades of gray because video contrast will reduce visibility of the controls. However, white is generally a good shade to choose because there is a slightly darkened canvas layered above the video, but below the controls; this helps make white controls more visible. The player controls are shown under several well-established circumstances. This includes whenever the video is paused, such as before a video starts (with AutoPlay off) or while buffering, after any video finishes (with AutoPlay off), or after all videos linked to the player finish. They also will display (fade in) on demand whenever a video is tapped. If a video is actively playing, the controls will automatically hide (fade out) after a predetermined number of seconds. At any time the controls are shown, they can be quickly hidden by tapping on the video (but not on a specific button, of course). The default player controls UX implementation includes 4 optional app-specific sidebar buttons. You can set any or all of these to use as you see fit. This was built to allow for app-specific video overlay customization in anticipation for up to 4 new behaviors. Because these 4 sidebar buttons are built right into the default controls UX, they will automatically fade in/out with the rest of the video controls. There is no need to handle any of that logic or attempt to synchronize to the animation timings. We also think that there should be more gestures that will help users interact with our player. One of these is a double tap gesture. By doing double tap in the empty space of the player, the user will be able to change video gravity from aspect fit to aspect fill. This gesture won't have any conflicts with controls show/hide gesture. The complete implementation of the default player controls UX is open source and has been provided as an implementation example of this SDK. Feel free to inspect it, copy it, and modify it at will. In order for the VVPSDK to authenticate itself for video playback within your app, the containing app’s unique App Store bundle identifier is passed to Verizon's back end service. You need to email the Video Support Team to register your app bundle IDs to use VVPSDK. You can also register multiple bundled IDs against your same app entity. You might need to do this if you need to allow for a dev/test app bundle ID or an enterprise bundle ID that co-exists on a device alongside your production app. Also, both iOS and Android app bundle IDs can either be the same or different – for the same app. Registration not only authenticates your application, but it ensures your back-end video and ads analytics are all configured properly. In addition, this registration information also defines the video content your app is allowed to play through the SDK. Our modular approach makes it easy to add new renderers in the future, or to add your own custom video player controls UX implementation. 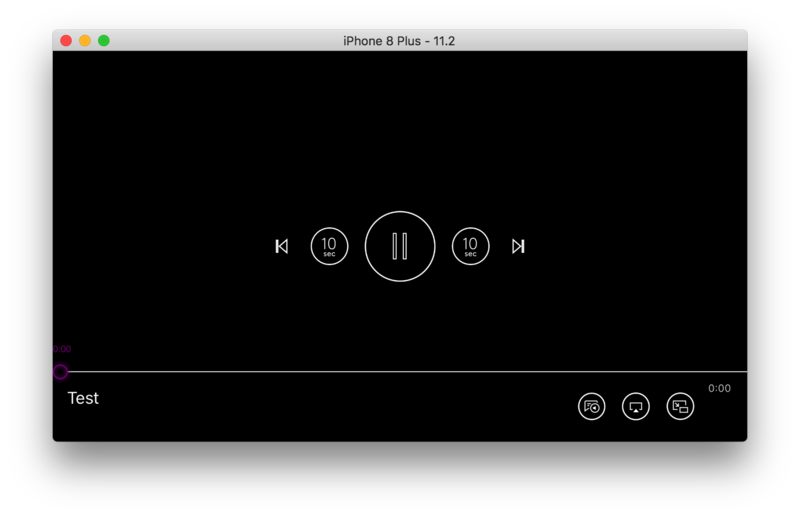 Under the hood, we rely on the built-in iOS AVPlayer to handle the actual video playback. Note, that new renderers must be registered with our back-end micro service. Reach Video Support Team to start this process. At a very basic level, the VVPSDK controls only the video frame. Because of this, you are completely in control of your app’s design and UX (look and feel). You can control whether videos play in a small view, in-place over a thumbnail image, or at full-screen. Your app also has complete control over device rotation, use of view/navigation controllers, scrollers, and any transitions between them. The SDK does not dictate any overall visual design or behavior on your app. However, if you choose to use the SDK’s built-in player controls UX implementation, it will impose it's video player controls UX. All controls rendering is also done within the frame that's provided for the video. Regardless of which controls UX you use, we currently do not allow any customization or overriding of the ads playback UX (which is different from the normal video playback UX), so that visual interface is dictated, and you cannot override it. Future customization options are planned in this regard. Behind the scenes, the initialization of an instance of the SDK takes your app’s bundle ID, and passes it to our back-end micro services where it's authenticated for video playback from the Verizon Video Partner network. Then, the server returns all necessary playback and authentication information, back to that instance of the SDK for use during its lifespan. When you construct a new Player object from that SDK instance, it communicates with our micro services to obtain all the necessary video metadata (e.g., thumbnails and video URLs, duration, etc.). This Player object will play and replay the associated video until deinitialized. More specifically, before a video plays, the SDK’s Ads Engine tries to fulfill a pre-roll ad. While the request for the ad is being processed, the video begins buffering in the background. If an ad is returned in a reasonable amount of time, the Player plays the ad using the built-in ads UX. When the ad finishes, the video playback begins. If no ad is to be shown, or the ad request times out, the video playback begins directly. The runtime circumstances and algorithm for getting an ad or not, are not in the scope of this documentation. Suffice to say, there are many considerations to this (e.g., content owner/seller rules, geolocation, frequency capping, etc.). For more information and details on how ads are served to the VVPSDK, please email the Video Support Team. Note: The SDK only operates with an active network connection; you will not be able to do anything without it. The Verizon Video Partner SDK does not collect any Personal Identifying Information (PII) or track anything that is not related to playing videos or video ads. We use the IDFA (ID for advertisers) value and respect the user's settings for Limit Ad Tracking (iOS enforces this anyway). The device geolocation is determined by our back-end video servers based on IP address, for the purposes of determining and filtering out content that is geo-restricted by content owners. The SDK does not explicitly use the built-in Location Services APIs, and thus does not require your users to grant access to device location data. Please refer to the CONTRIBUTING file for information about how to get involved. We highly appreciate, welcome, and value all feedback on this documentation or the VVPSDK in any way, shape, or form. If you have any suggestions for corrections, additions, or any further clarity, please don't hesitate to email the Video Support Team. Pull Requests are welcome. This project is licensed under the terms of the MIT open source license. Please refer to LICENSE for the full terms.